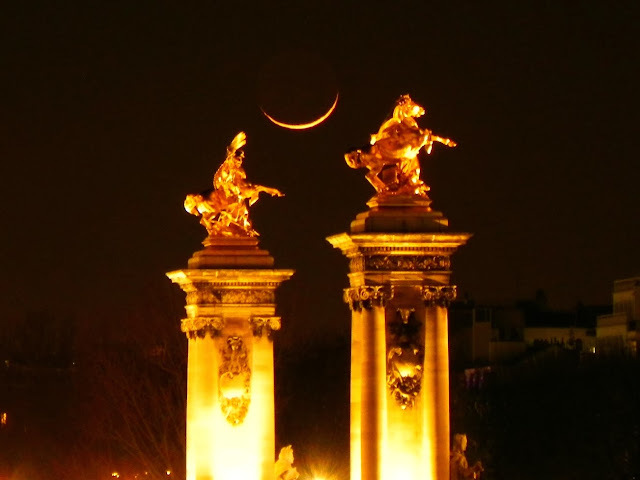 I have often wondered what is it in Paris that attracts me so much. Is it just the city, its culture, its landmarks, or the ever smiling but never content people around me. What is Paris anyway. It is one city you would find high up on any "Most visited city" list. A true cosmopolitan, it is one city where if you stand long enough at one place you are sure to hear all known languages of the world. A celebrated city, a lot has been said over twenty centuries and anything I write will not be enough. I, however on my part would present here how I have seen this city for the last few years and what a normal Parisian day means to me. The first word that comes to my mind about Paris is chaos. But there is a charm in all forms of disorder that goes on in this city. 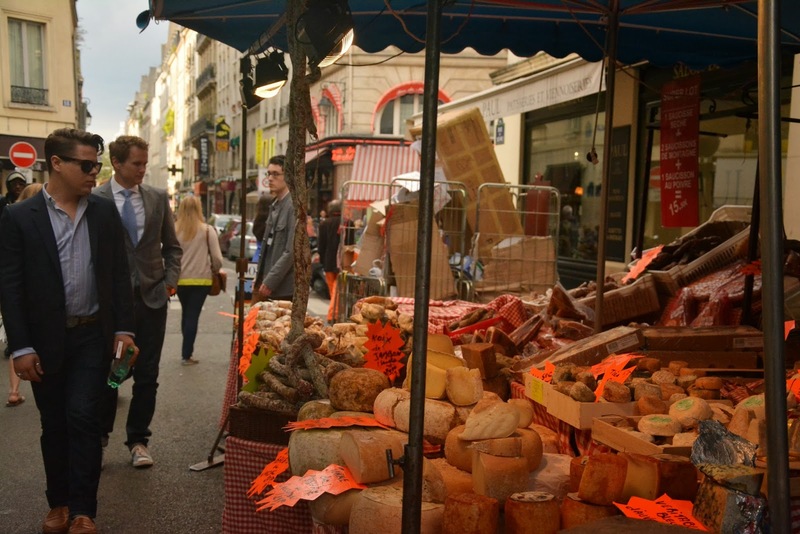 Hemingway had famously called Paris a movable feast and this is so evident in everything around you in this dynamic city. 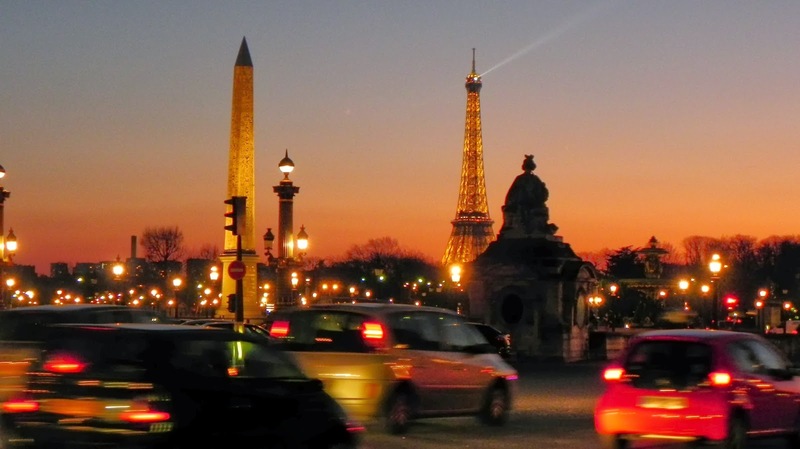 A day however in Paris starts like a day in any city of the world. The markets, the people gathering their energy to live through the day, the sea of feet boarding the transports and then hurrying off on their way. 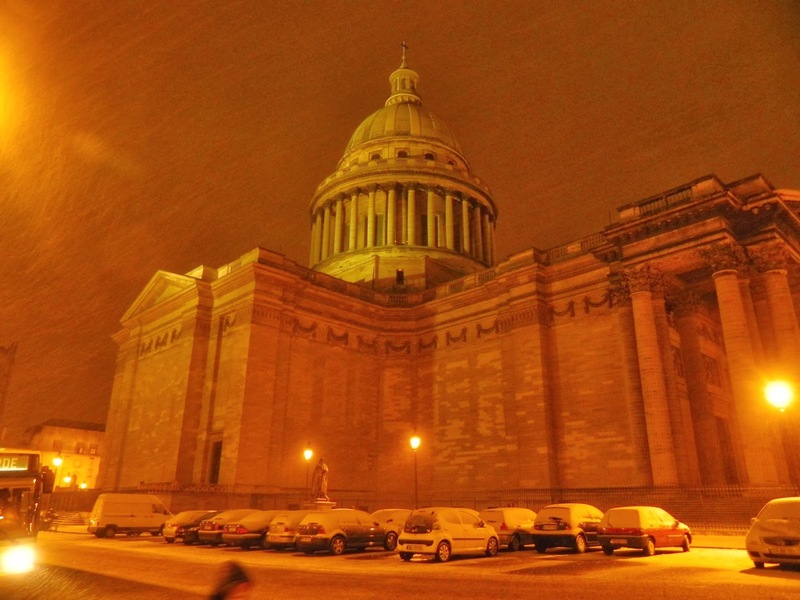 But in the midst of it all, one can find the beauty that Paris has to offer. Reading runs deep into the Parisian culture. 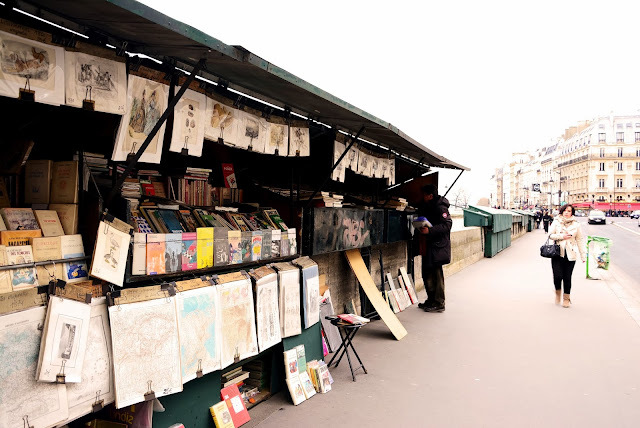 Bouquinistes selling used books along the banks of the Seine, have been a part of that culture since the 16th century. 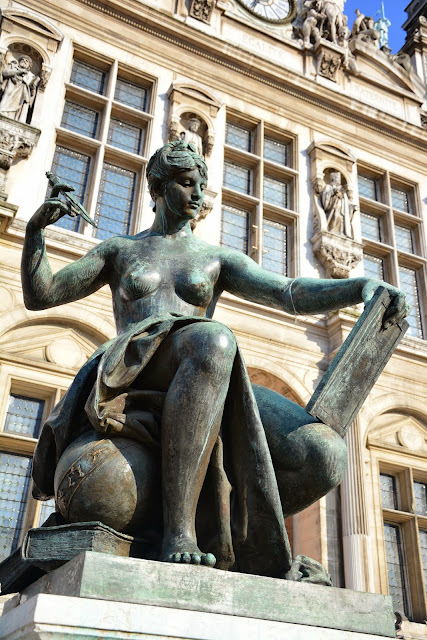 A city where art and science has been coalesced for centuries and it is aptly represented by Jules Blanchard in the statue that represents Science but is also a grand form of art. People here are always hungry to know more and this hunger often vents in reproaching the system around them no matter how perfect it might be. But at the end of the day, they know how to respect the ones who have made Paris and France proud. The Pantheon built originally as a church, now is a burial place with the inscription "To the great men, the grateful homeland" adorning its doors. 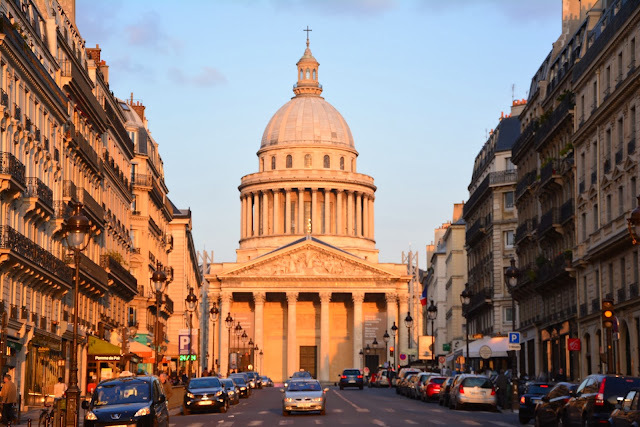 It stands tall in the famous Latin Quarter representing a city that considers its people more important than the gods. Through all the chaos of the day you can always find serenity in the heart of the city. 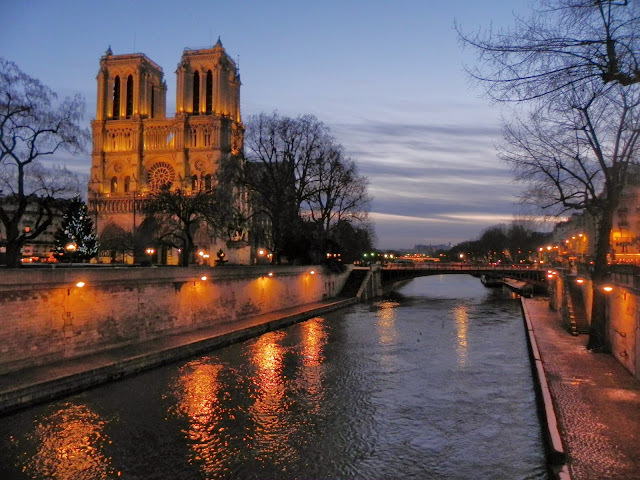 The Notre Dame of Paris represents the belief amidst the sea of responsibilities, of unknown quests, of la vie. 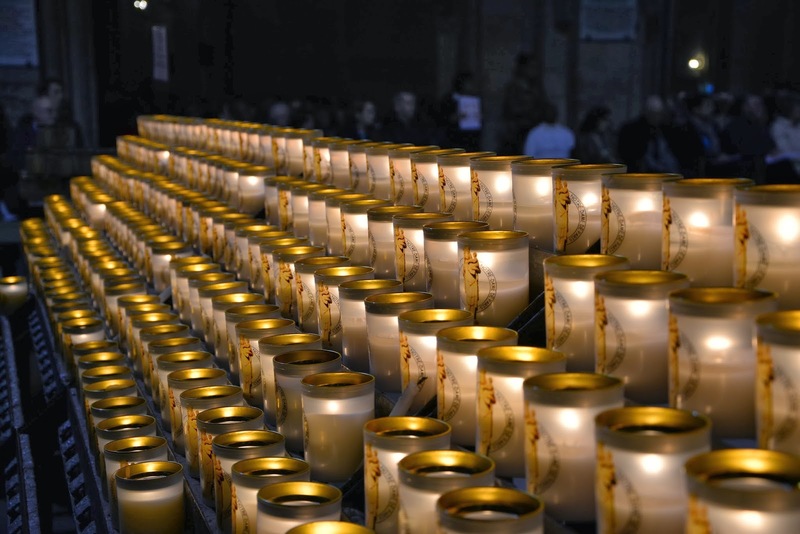 And the candles there can be offered irrespective of one's religion. 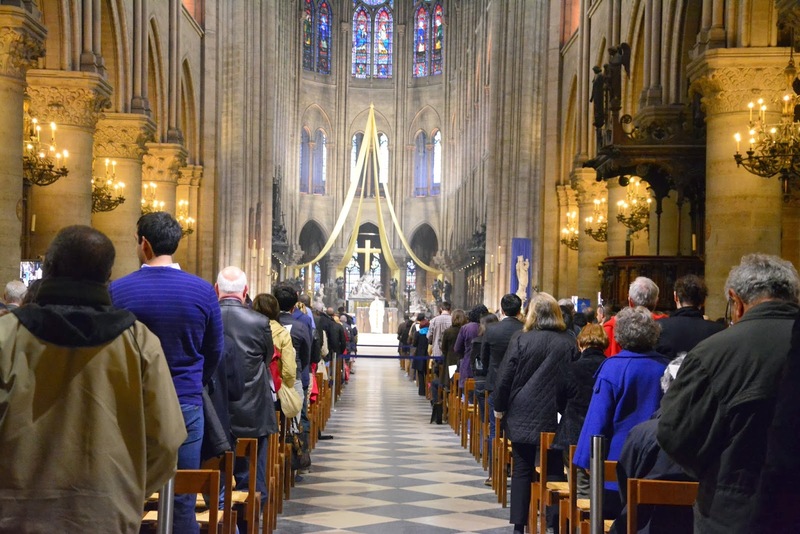 Its not the trust in God that represents the city, but a belief in oneself, the belief in the equality of Paris and the love for her, the rose window and the two towers. The eternal city, its largest and most celebrated cemetery Pere Lachaise is where the dead rest but budding love can also be found there if that is what one is looking for. 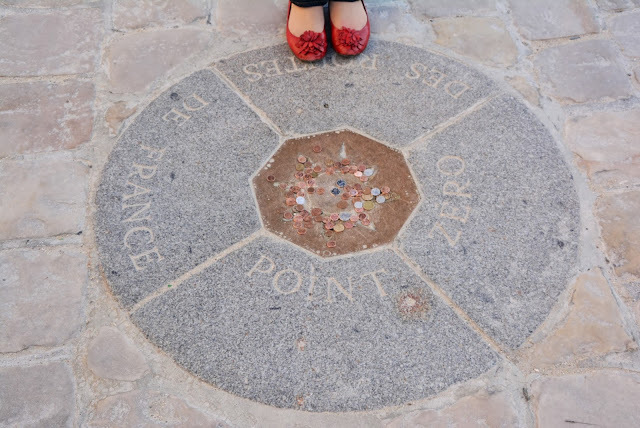 And love is everywhere to be found in the Ville de l'amour. Pont des Arts embodies love with padlocks adorning it which were attached there by couples to glorify their union. 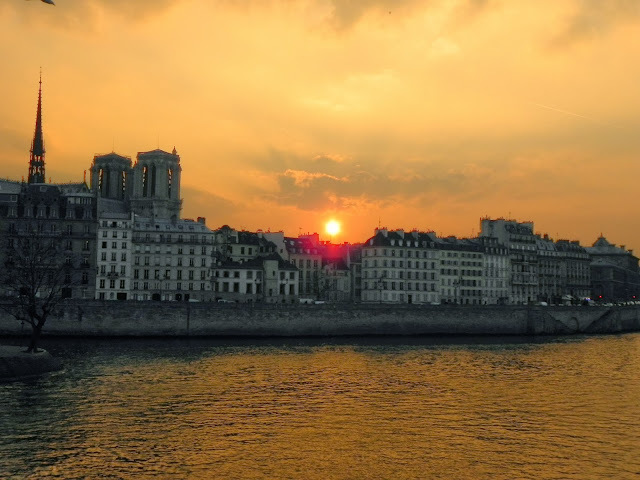 And then the sun sets, over the Ile de la Cité, over the Eiffel and the city continues on. Place de la Concorde, the place where the Guillotine once stood and exemplifies the turmoil the city has faced. The name itself was coined as a gesture to the turmoil brought about by the French Revolution of 1789. But Paris knows how to bring out the beauty in all its gestures and so does Place de la Concorde. 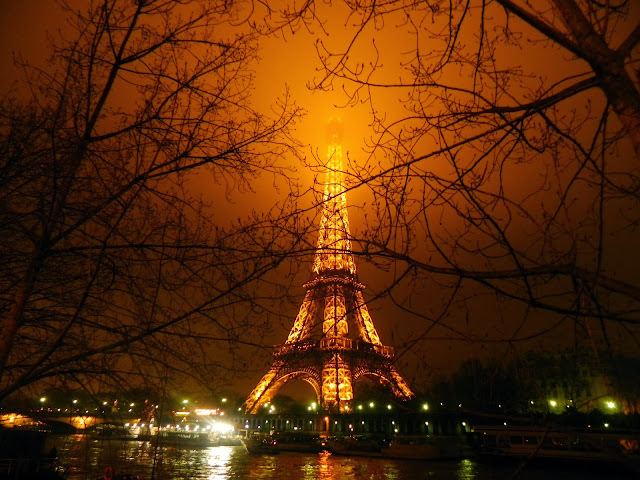 As the darkness of the evening descends upon Paris, it lights up even more. 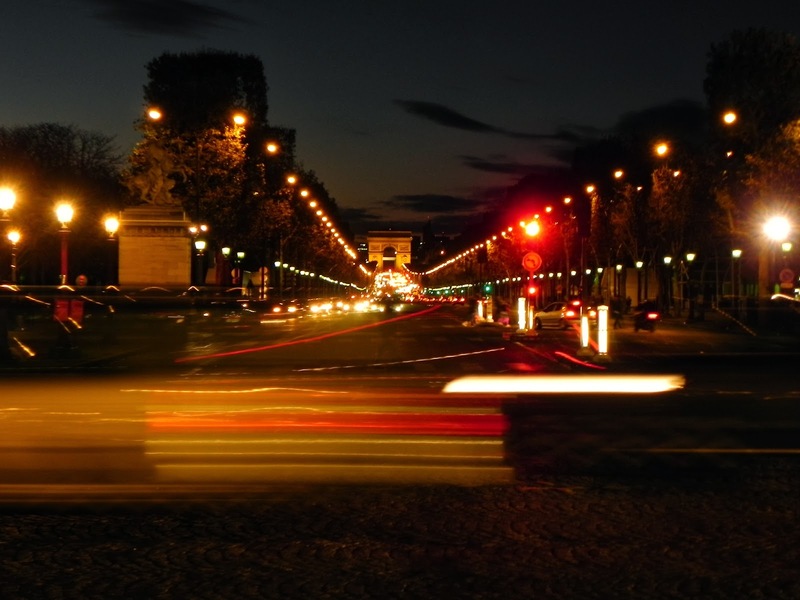 The city is called the 'City of Lights', because it was one of the first cities in the world to have street lamps. The lights still dazzle and will surely continue for eternity. 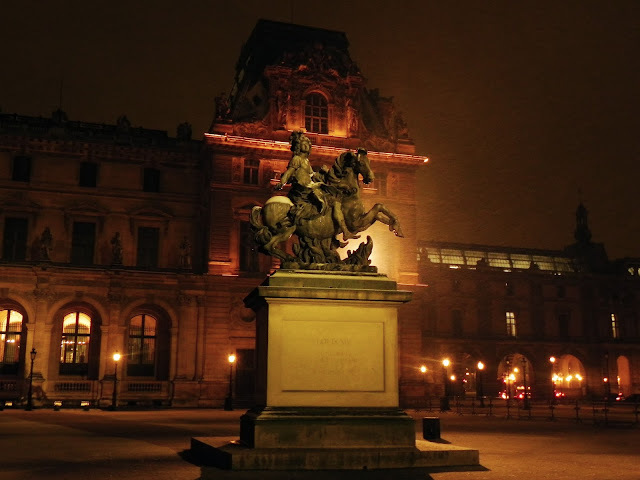 The Louvre, one of the largest museums in the world was built for the powerful kings of France. The french belief in Equality, Liberty and Fraternity is glorified in this landmark. The structure, once belonging to a single monarch now is open to all as a symbol of not only french culture but also all civilizations of the world. And grace is everywhere, in every corner of Paris, even in the harshest of times and in the worst weather. 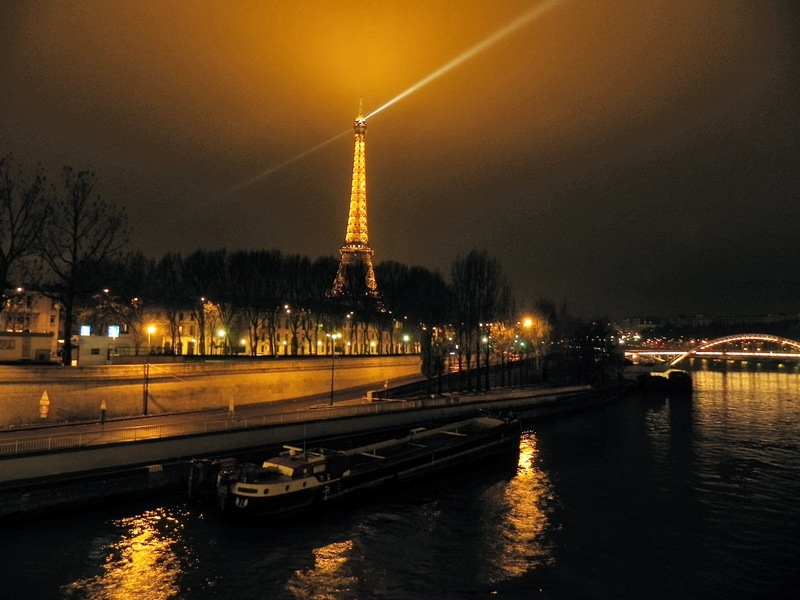 and even when the mist blinds ones view, or obstructions block ones path, Paris can shine through. Pont Alexandre III built in 1892 as a symbol of Franco-Russian alliance. 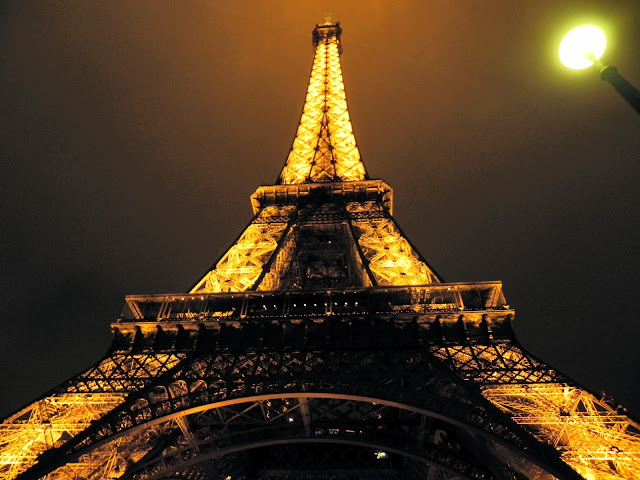 Deep into the darkness of the night as the moon shines on, the city as the capital of France continues to forge unity in the diverse world. Dinner in Paris is often a feast. The gastronomical capital of the world, Paris is an ensemble of all the culinary pleasures of France. 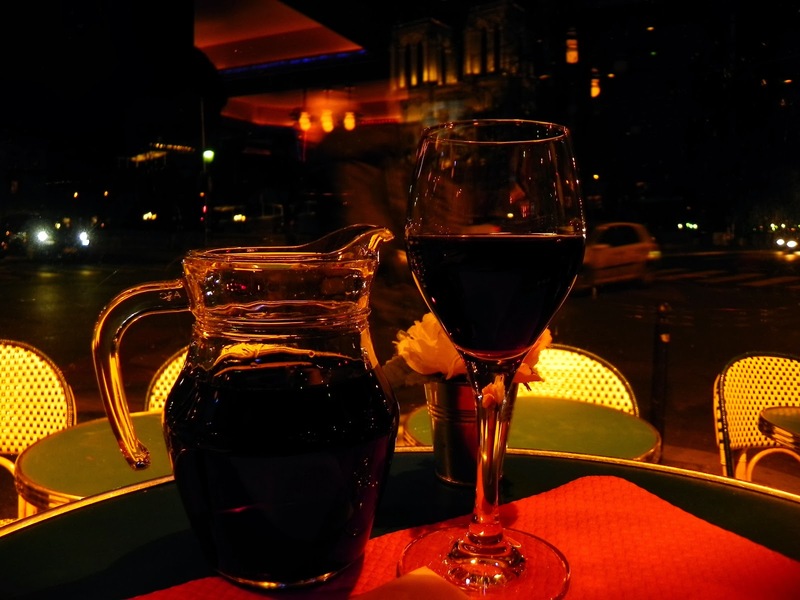 The Brasseries of Paris with their relaxing settings and affordable prices enhance the tastes of those delights. The word Brasserie comes from the old french word 'brasser' which means to brew. No meal in Paris is thus complete without wine, which is also the first thing that comes to the minds of most people when they hear the word France. The city also has its golden glitters, the Champs Elysses which reflects the wealth and the fame. The Arc de Triomph at its end, commissioned to mark the success of the Battle of Austerlitz and Napoleon Bonaparte's ambitious campaign, reflects the ambition of the Parisians for that fame and wealth. The French director Jean Cocteau once said "In Paris, everybody wants to be an actor; nobody is content to be a spectator." As the hopes, dreams and ambitions of the Parisians settles down for the night, the Eiffel with its beacon looks on, waiting for the day to break. 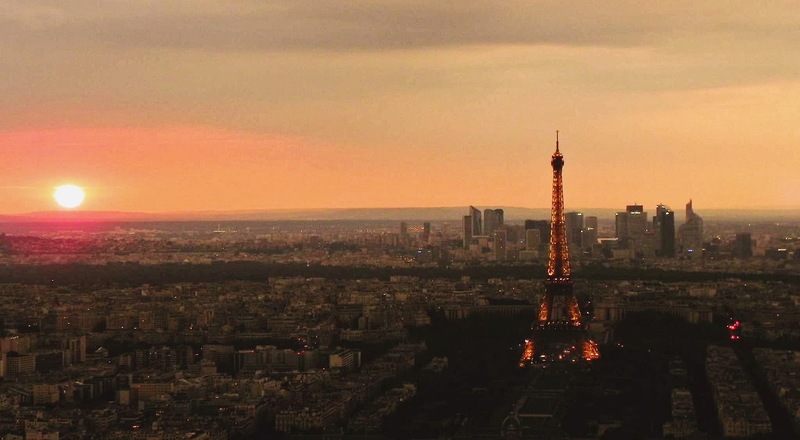 And thus the sun rises once again and Paris starts all over again with its chaos, its energy, its culture and arts, its ambitions, its serenity, its love and its glory. As Thomas Jefferson had once said "a walk about Paris will provide lessons in history, beauty, and in the point of Life." Yes Paris is always a "good idea" as Audrey Hepburn would have said. 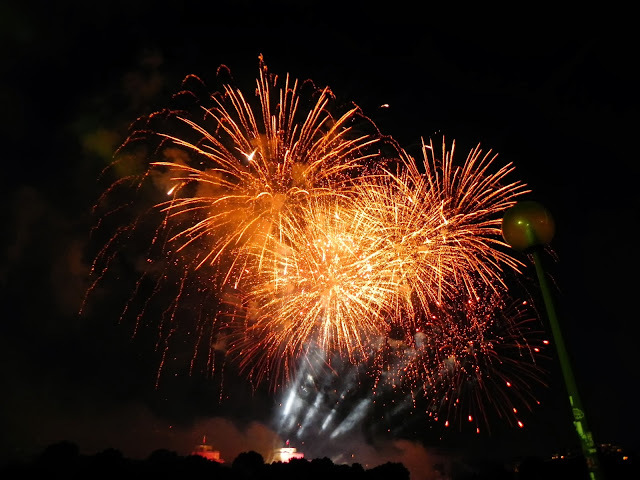 It is a movable feast and it is a celebration of humanity. Beautiful pictures and very interesting writing. 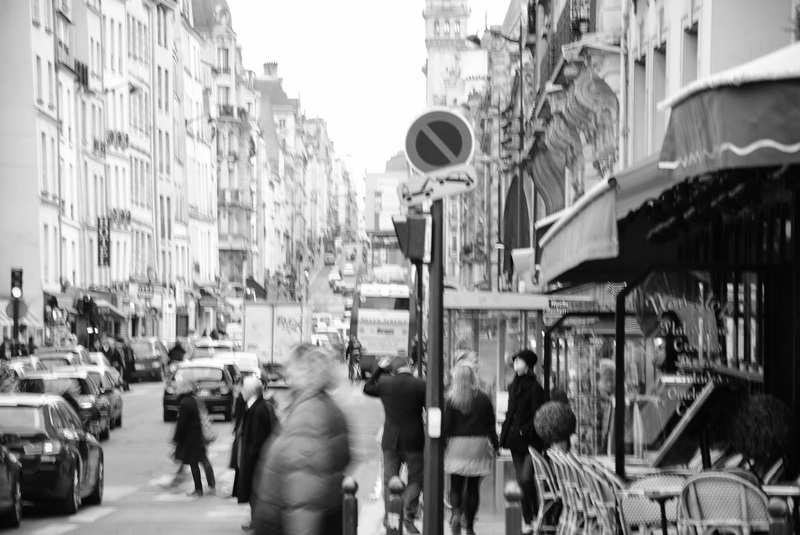 One can easily live Parisian life through this blog!! Beautiful!! !